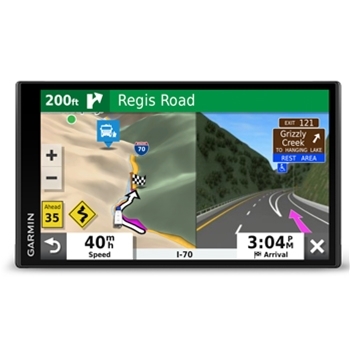 6.95" RV GPS with dedicated RV Routing and Points of Interest! 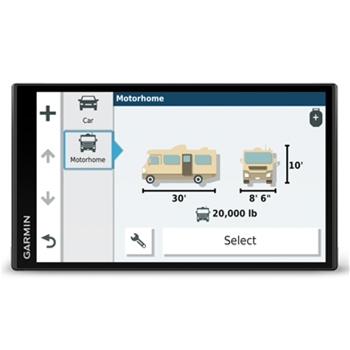 The Garmin RV 780 will help you Navigate your RV to your best adventure or vacation yet! With a crisp 6.95” Touch Screen display, internal GPS sensor, traffic receiver, pre-loaded detailed maps for North America and millions of Points-of-Interest, the RV780 will not leave you guessing. The most basic feature of a GPS is to show you where you are on a map. And the RV780 will certainly do that, and in great detail. The pre-loaded maps will display small roads, dirt roads, highways and interstates, political boundaries and more. Enter the address or point of interest that you want to go to and the RV 780 will route you using specialized RV routing based on the vehicles size and weight. Once underway the RV uses Garmin Real Directions which gives more realistic prompts to turn (example, “Turn Left at the McDonald’s Ahead”) and will also provide warnings and driver alerts for things like steep grades, sharp curves, weight limits, speed limits and more. While in transit the Garmin RV will provide “Up Ahead”, a Garmin feature that gives you information about services and locations ahead on your route. A great feature when looking for food or fuel. When entering your destination, you can also shape the route to go through specific cities you may want to visit or use specific roads. This comes in very handy when taking a long trip and making sure you hit specific spots along the way. If that was still not enough the Garmin RV780 can still make navigating easier. More features to give you better situational awareness are the photoReal Junction View (so you can see a real picture of the interchange you are entering), Lane Guidance with voice prompts (see a 3D view of the highway ahead with an arrow of which lane to be in well ahead of the interchange) and 3D buildings (when navigating in a city see real buildings in 3D for even more clarity of where to turn). The RV780 is loadedwith millions of points of interest from databases like Ultimate Public Campgrounds, KOA, iOverlander, PlanRV, HISTORY, US National Parks Directory and Foursquare. These points are all searchable on the unit either through the touch screen display or by speaking to the unit through the voice-activated feature. You will also be able to get TripAdvisor ratings for some of the points. 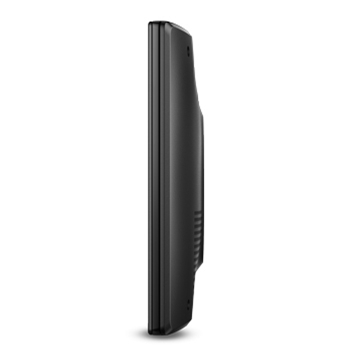 The RV 780 also has wireless capabilities through Wi-Fi and Bluetooth. WiFi allows you to download the free map updates and software updates without the use of a computer. You can also connect to your compatible smartphone to access live services free from Garmin’s Drive App. Get Live traffic updates, parking information, weather forecasts and traffic camera info. Bluetooth provides hands-free calling through your compatible smart phone. Not only can you send and receive phone calls but you can also get Smart Notifications like text messages and calendar reminders. When you look at all of the features this unit has you will see it is a great value for the money. Add in that it is also compatible with Garmin’s BC30 Backup Camera and can accept SD/microSD cards for additional mapping and you will see that this is the unit to have for any RV traveler. Includes RV POI’s, Services and Directory! The Garmin GTM 60 HD Digital Traffic Receiver provides 3D Digital Traffic information for up-to-the-minute alerts to a Garmin Nuvi 24x5, 25x5, 3400 and 3500 series units as well as all Garmin Drive LMT-S Units. The GTM 60 also provides 12v power to your compatible Nuvi/Drive LMT-S unit. Heavy Duty Suction Cup for 6" and 7" units including RV and Dezl Series. The Garmin RV 780 Bundle features the standard RV 780 package bundled with the Garmin BC-30 Backup Camera. The Garmin RV 780 Bundle features the standard RV 780 package bundled with the XS700 Padded Case, Universal Friction Mount, and Screen Cleaner.